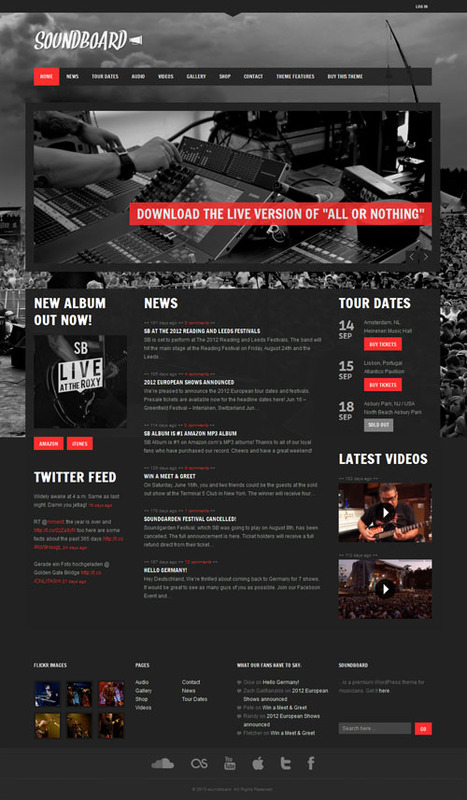 If you’re a musician, a band, a music producer, a DJ or just want to build a music news website or blog you need a great looking, professional website design. 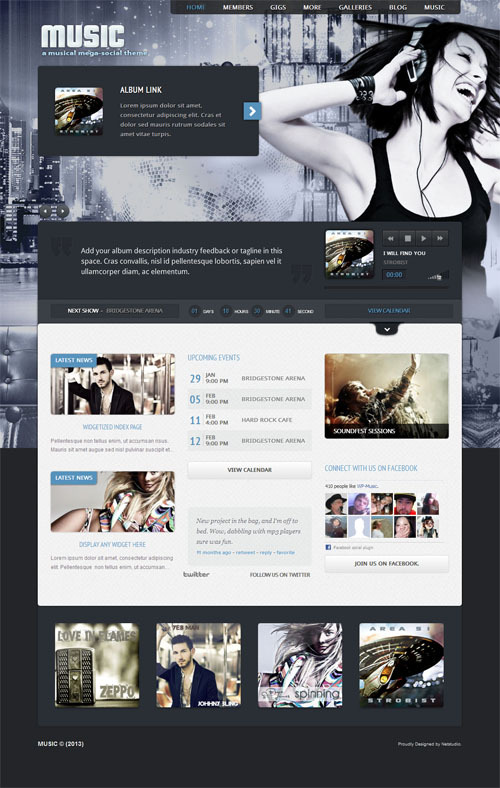 There are quite a number of high quality music WordPress themes available that have been specifically designed for musicians, bands and music bloggers. It doesn’t matter if you’re popular already or trying to make it big, a good website is essential. It will allow you to get your name out there, connect with your fans, promote your live performances and tour dates, let people listen to your music and watch your music videos online, browse your photos galleries, check your album discography and buy your merchandise. 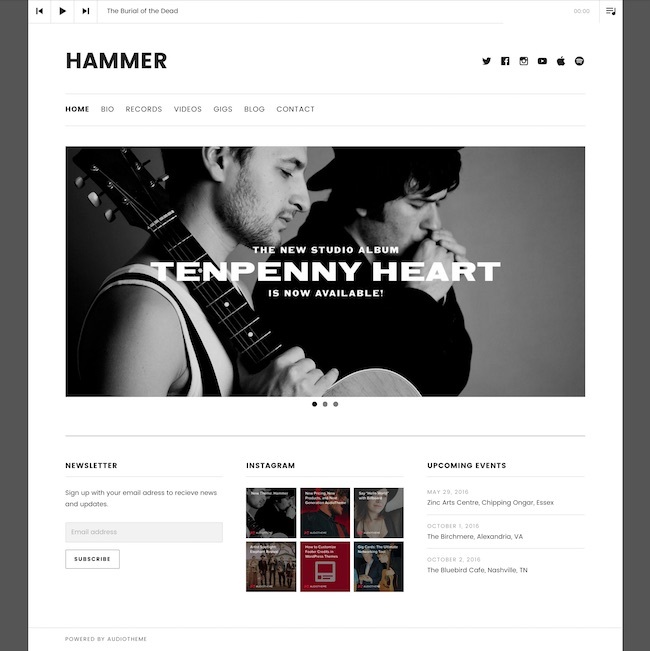 The music WordPress themes below include the features a musician needs in a website right out of the box so you don’t have to waste time struggling to build a website when you’d rather be just making music or writing about the latest songs and bands. WordPress is an excellent platform to build a band or music website because it’s easy to set up and operate, and best of all free. These premium music themes are very reasonably priced so you can get a professional looking websites up and running for less than cost of a couple of CDs (yeah old school). 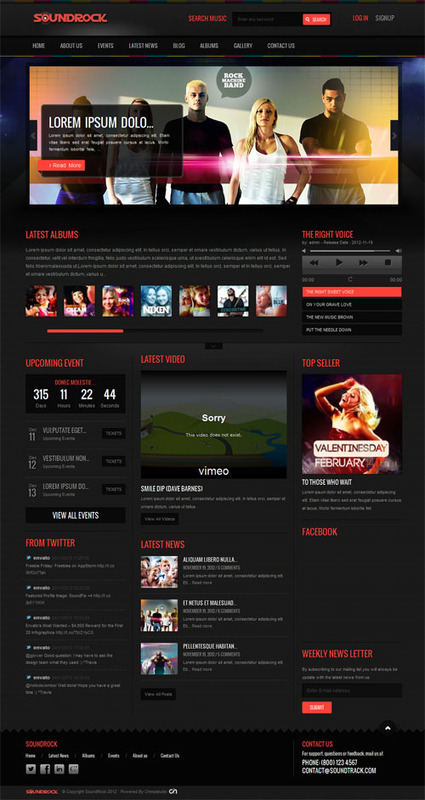 This post showcases 12 beautiful WordPress themes for musicians, bands music producers and music bloggers. 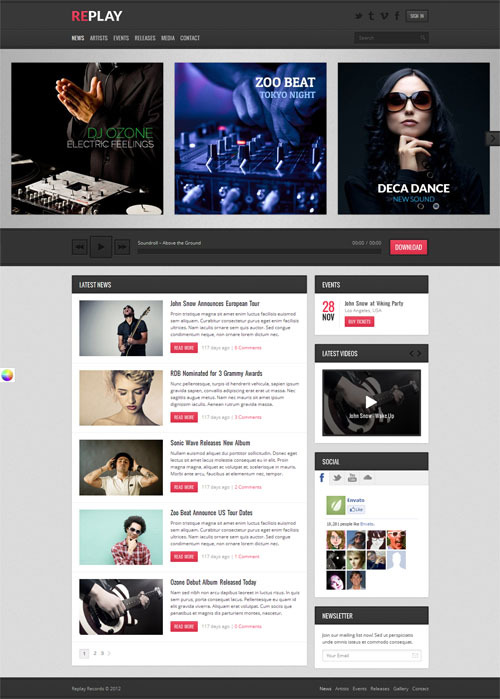 Its only a sample of the WordPress music themes available so make sure you also have a look at our complete gallery post which has ALL of the best music WordPress themes or browse the music WordPress themes category.